WCD Yadgir Recruitment 2018 Notification For 48 AWW & Helper Vacancies is released. Aspirants who are in search of government jobs in Karnataka, they can apply from 04th August 2018 to 03rd September 2018. Interested candidates can attend for the given selection process that is Written Examination and Interview. Here, we had furnished the complete details about the Women & Child Development Department Yadgir Advertisement 2018 like educational qualification, age limit, selection process, application fee, and process to apply. To get more details about the anganwadirecruit.kar.nic.in Jobs 2018, applicants need to read this entire article. Because, at the end of this page, we had arranged the WCD Yadgir Recruitment 2018 notification which was downloaded from the official website. Applicants who are eagerly waiting for the WCD Yadgir Recruitment 2018, they can quickly get the details from the current page. In addition to, hire the skillful and suitable contenders, the higher authorities of Women & Child Development Department Yadgir of Karnataka has decided to conduct the Written test and Interview. And contenders who are facing a lot of issues while filling the application form can quickly get the proper guidelines for the given procedure in the below sections. Get the official notification of WCD Yadgir Recruitment 2018 and grab the required information. Contenders can get more details from each part of this article. And also bookmark our site that is Sarkari Naukri for more updates. 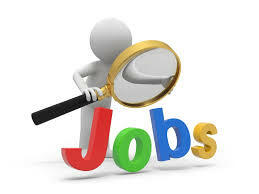 In the below sections, we had furnished the Names of Vacancies along with their number. So candidates who had applied for the WCD Yadgir Recruitment 2018 for those wannabes it is significant to get to know about the Post-Wise Vacancies for anganwadirecruit.kar.nic.in Jobs 2018. At first, every candidate has to check the educational qualification before applying for the WCD Yadgir Recruitment 2018. Because in these posts, the educational qualification is important. Candidates who are not having the essential skills, they will be rejected by the officials of the Women & Child Development Department Yadgir. For more details check the notification of WCD Yadgir Recruitment 2018. Anganwadi Helper: Minimum 4th Class & Maximum 9th Class. After getting the complete idea on educational qualification, candidates have to check the Age Limit For Women & Child Development Department Yadgir Jobs 2018. It is imperative for every candidate who is attending the WCD Yadgir Recruitment 2018. Age Relaxation for OBC, SC, ST, PWD will be as per the rules and regulations of the organization. The age limit equal for both the posts. Applicants who applied for the WCD Yadgir Recruitment 2018, they will be shortlisted as per the rules and regulations of the Women & Child Development Department Yadgir Organization. Aspirants need to check the official website for the selection procedure of WCD Yadgir Recruitment 2018. Check the official notification Of WCD Yadgir Recruitment 2018 for Application Fee details. Please visit WCD Yadgir official Notification for Payscale details. Initially, visit the official website of Women & Child Development Department Yadgir that is anganwadirecruit.kar.nic.in. Select the District and Post name in the home page which at below. Fill all the details and upload the scan documents in the WCD Yadgir Recruitment 2018 application form. Then the sample of application form will appear. We had explored the complete details related to the WCD Yadgir Recruitment 2018. For further information about the Results, Syllabus, Admit Cards, and Others, candidates can visit our site that is Sarkarirecruitment.com. If candidates have any queries, they can leave us a comment in the below decision box. Thank You.